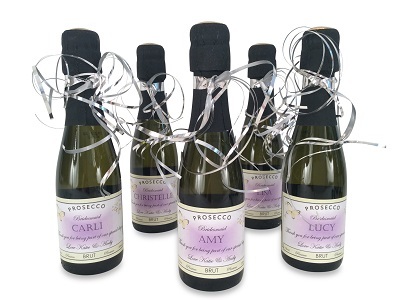 The Champagne and Gift Company are leading suppliers of personalised miniature Prosecco. 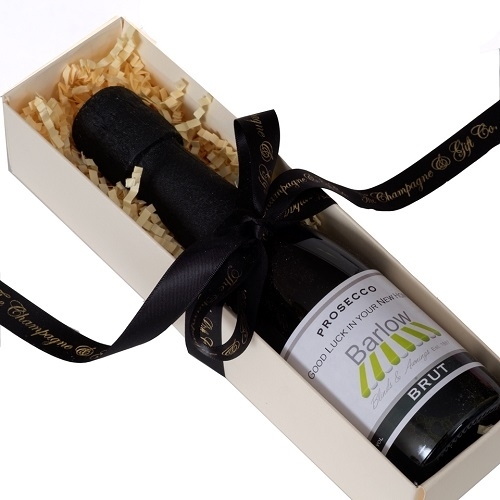 We offer a choice of bejewelled bottles and custom labels which you can add to our selection of mini Prosecco bottles. We also offer a choice of presentation boxes and the option of having your personalised mini Prosecco bottles gift wrapped. The packaging, label and decoration combinations are limited only by your imagination. Personalised Miniature Prosecco bottles make unique and original gifts. 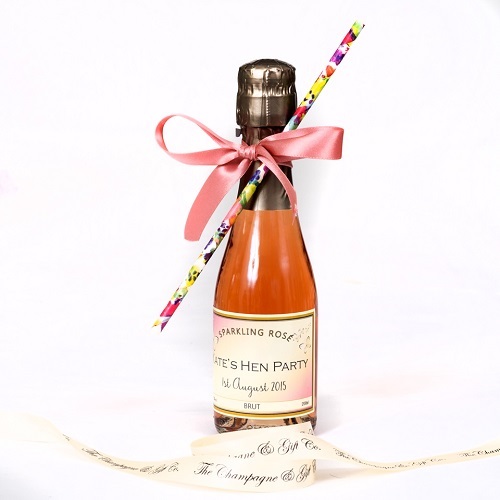 Our mini Prosecco bottles are ideal for any occasion and are especially popular for weddings.Your personalised bottles can be decorated with bow and straw - colour co-ordinated with your wedding. You can add some extra glam with gold foil or even add sparkling gems to honour your glamourous sense of style. You can also integrate the miniature bottles into your wedding by adding them to your tables as a place card setting. Each bottle could be personalised with it’s own named label or we can attach a beautiful card to each bottle with the guests name on it. 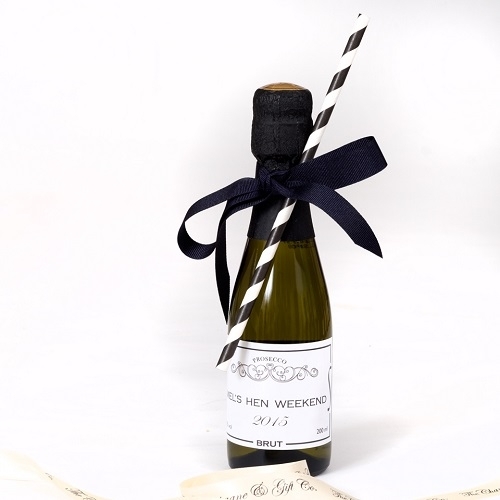 What better way to thank the Best Man and Bridesmaids than with their own special miniature bottles! We can create these in 4, 6 or 12's and the botttels could be presented in a special box. A memorable keepsake of your special day! For parents we would suggest a standard size bottle with your own special label. It will sit in their home in pride of place for years to come! 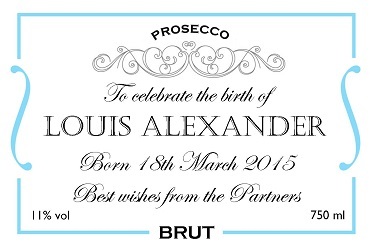 Thinking of sending personalised Miniature Prosecco as a gift? 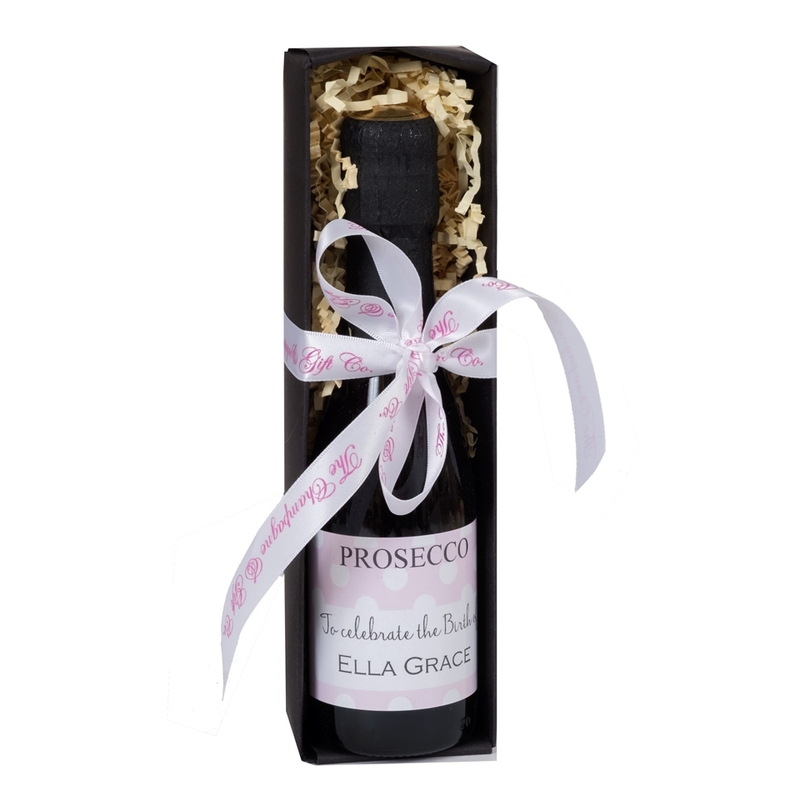 Our personalised mini Prosecco bottles are sure to be warmly received by the recipients. Your personalised miniature Champagne can be sent on its own or together with a gift from our luxury selection. We can send your Champagne gift either direct to the recipient or to yourself to hand deliver. We can deliver your personalised miniature Prosecco to any UK address. We also deliver to Europe and Internationally. Please contact us by email or telephone to make arrangements for the delivery of your mini Champagne bottles. The Prosecco can be sent on its own or together with a gift from our luxury selection. 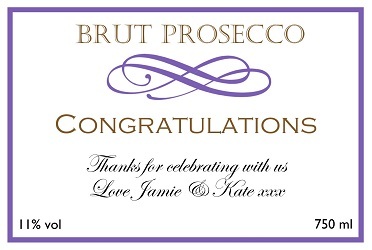 We can also send your personalised miniature Prosecco either direct to the recipient or to yourself to hand deliver. 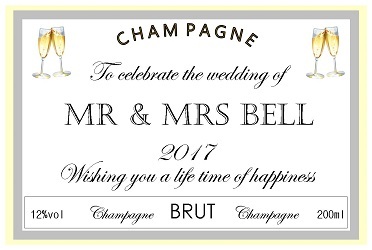 The Champagne and Gift company offers an exclusive bespoke service. 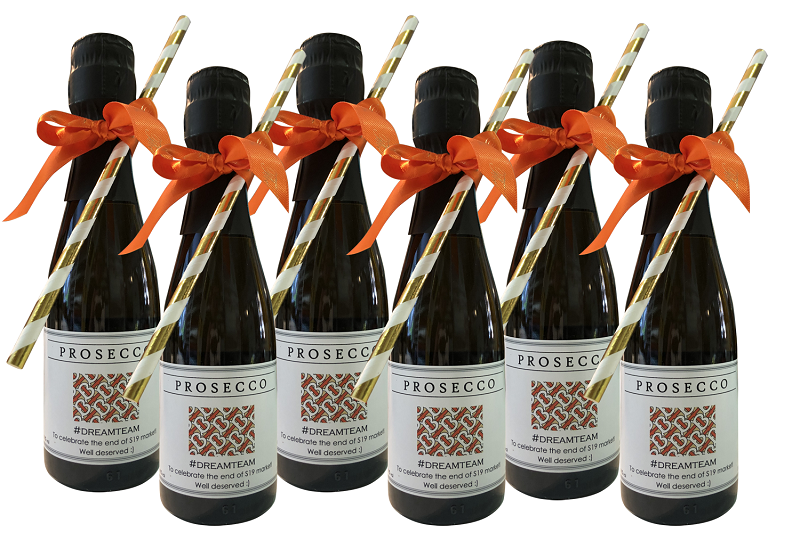 We can tailor Prosecco gifts to suit your requirements.